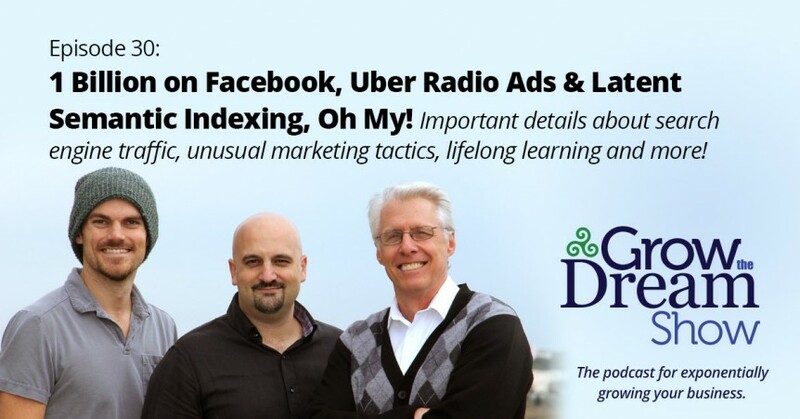 #30 – 1 Billion on Facebook, Uber Radio Ads and Latent Semantic Indexing, Oh My! Maybe our most eclectic show ever. We cover 1 billion Facebook users in one day, Uber advertising on radio for drivers, the ever-fun “latent semantic indexing,” the end of the corporate bubble and the requirement now that people be lifelong learners and not rely on one employer. Brew of the Day: Sumatra Mandheling Gayo Mountain Supreme from Wicked Joe – thanks to Bob Mullen from Mullen Brothers Jewelers! The blog post from Convince and Convert that brought “Latent Semantic Indexing” to our attention.